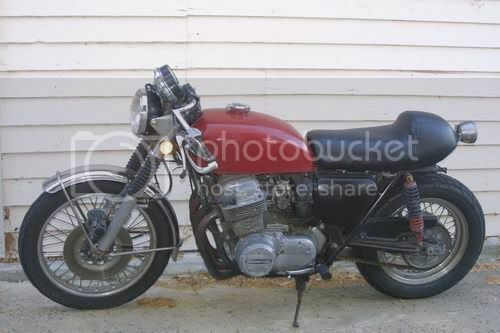 My girl and I are also interested in old bikes...'70's and early '80's Japanese bikes, cafe racers, old Triumphs and Nortons, English twins, etc. Old CB's and KZ's. 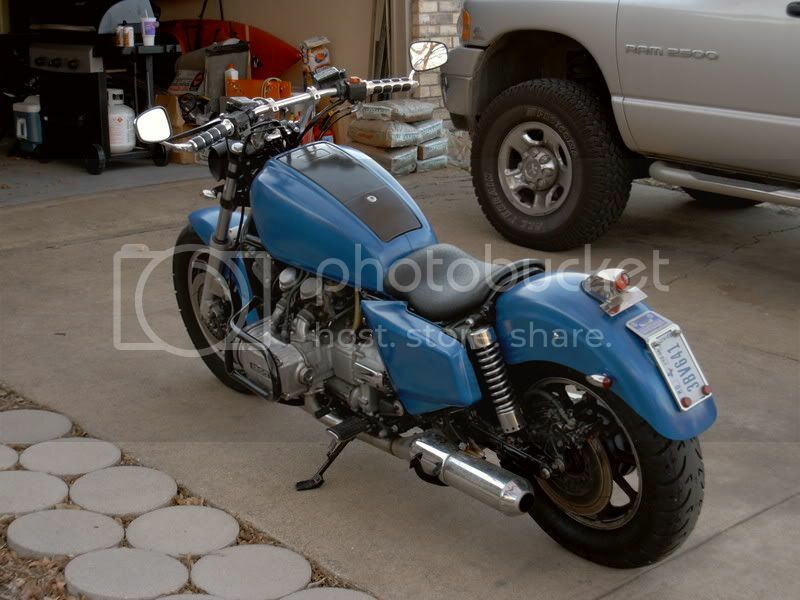 Anyone have any cool pics of cool bikes? Flat tanks and flat seats are cool! Nothing screams &quot;poor workmanship&quot; like wrinkles in the duct tape. Update: The rear fenders will be from a Beetle. 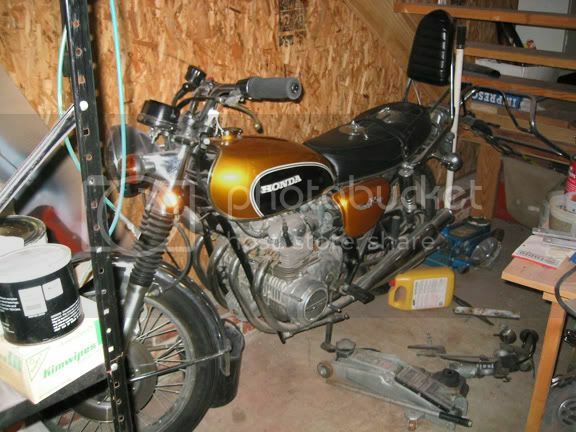 i've got a bone stock 72 honda cb500 too, but i gotta do some work to it before it runs. Aircooled, that bike is SWEET! That's exactly what we're looking for. Preferably something 600cc or smaller. VWuber...you wouldn't want to sell yours would you? it's been my dad's since i was a little kid & he gave it to me so i'd kinda like to hang onto it but i dunno i might be inclined to if the offer was right. it needs some fuel system work, it sat with gas in the tank that went bad. i found a pic of it. it's in his garage actually, near raleigh nc. 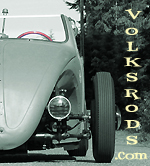 Go scheck out www.ironcross.net Coolest bikes and forum anywhere. Many folks with a similar view of the world as I see here. Hmm, wwe're not too far from Raleigh. Wonder what it would take to get that bike adopted by a couple of cool enthusiasts who would get it back on the road? Alloy wheels? Not very cafe to me. Well, I may not be one to ask what the cafe 'rules' are. 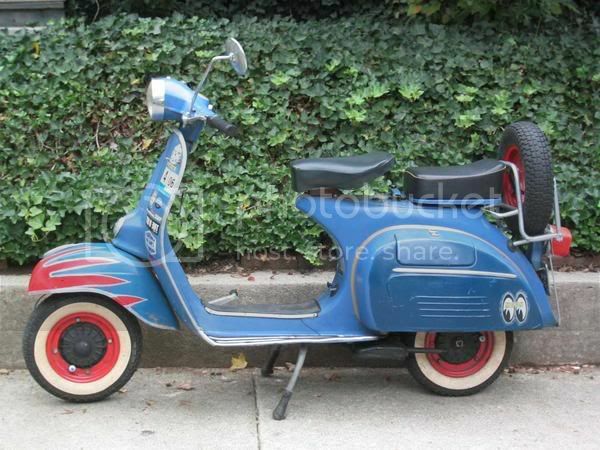 As far as I'm concerned, looking the way it does, it could have plastic wheels and I'd still call it a cafe. Very cool. That's exactly what I'm talking about. Very cool jroy. I wish we could find something like that close to home. There's just something about the style of these bikes posted here. They're what I think of when I remember motorcycles...not a crotch rocket or a chromed out Harley. Here is a pic of my 84 Goldwing, still got a few things left to finish, but I got to legally ride it last weekend. This thing originally was an Aspencade. Last edited by Rumblewagen; November 19th, 2008 at 12:06 PM. here's mine. it's a '73 cb750. cafe baby!! That is too cool man. 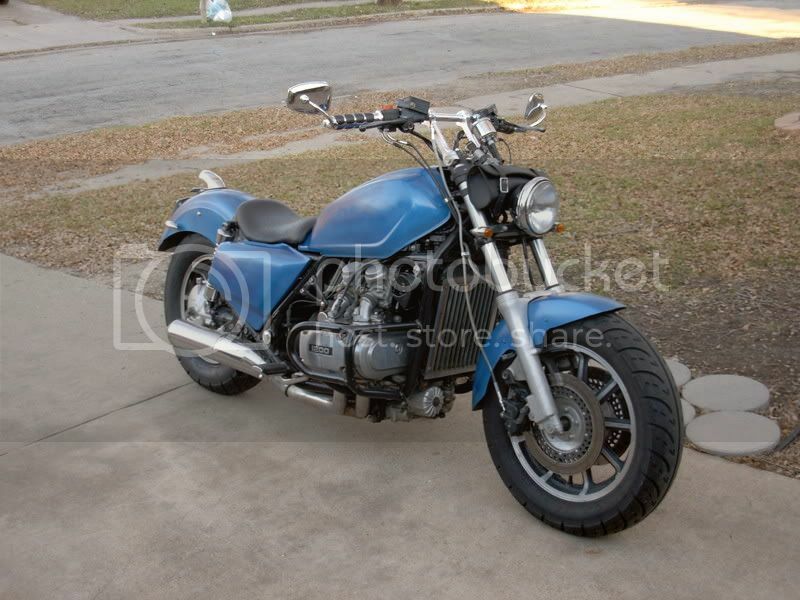 I've always wondered what it would look like if someone took all th e fairing off a Goldwing and cleaned ut up. Great work! vwcalbug, where are you (and the bike) located? What make/model? What constitutes "a little work"? Price? Send more info and pics if possible. hell check out the whole forum of Jockey Journal they always have cool stuff there. I visit regularly.